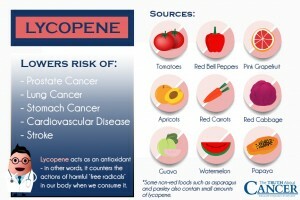 Tomatoes, harmful, benign or beneficial? Last year, tomatoes were a huge topic of conversation. Tom Brady’s private chef released to the press that Tom does not eat tomatoes and neither does his supermodel wife. This was big news, and spurred a huge tomato controversy. People began to question whether tomatoes are dangerous or not. So, are tomatoes dangerous? I like eating tomatoes; they taste great on a sandwich. Because I do enjoy a good tomato, I might lean a little towards the pro-tomato side. I was sincerely surprised with the lack of information regarding the negative effects of tomatoes and I am not saying this because I have somewhat of a vested interest. I was extremely surprised to find that rather being harmful, most studies actually show the beneficial side of tomatoes. In this study, the null hypothesis is that tomatoes are not dangerous; The alternative hypothesis is that tomatoes are harmful. The only evidence I found that shows the negative effect of a tomato is that tomatoes are considered a nightshade vegetable. 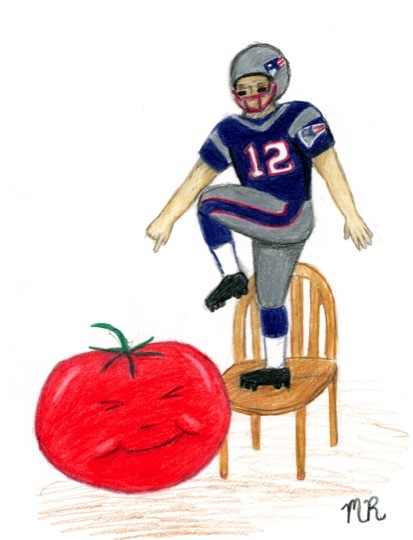 Tom Brady’s chef said that nightshade vegetables cause inflammation and aggravate arthritis. To find out how valid this statement is I ventured to the Arthritis Foundation’s website. Here, in an article about food myths, it is said that tomatoes contain “solanine,” a chemical that people claim makes arthritis worse. Instead of describing the harmful effects of tomatoes (like I thought the article would), the article says that the statement “tomatoes aggravate arthritis” is not true. The article not only says that there is no scientific evidence to back up the myth, but that nightshades vegetables can actually be beneficial for arthritis. It mentions how a study published by the Journal of Nutrition in 2011, nightshade vegetables actually “lowered blood markers for inflammation” in men. This conclusion is consistent with the null hypothesis. Nightshade vegetables are also linked to lupus, so I then went to the Lupus Foundation of America’s website. This is the only website that provided a negative health effect that stems from tomatoes. The website says that nightshade vegetables, tomatoes being one of them, could potentially increase joint pain or lupus flares. This information cannot be heavily relied on because it is based solely on anecdotal evidence. Essentially, the myth that tomatoes can lead to inflammation is based entirely on what can be considered hearsay. This information is in agreement with the alternative hypothesis, but again this information cannot be heavily relied on. This article, found on the website of the World Cancer Research Fund International, actually shows the beneficial side of tomatoes. The author, Dr. Edward Giocannucci, is an extremely well decorated figure in the medical industry who focuses on how different factors link to “malignancies.” The article mentions a study, that held compelling evidence that tomatoes are beneficial. The article then mentions that a more recent study was inconclusive and did not provide strong evidence that tomatoes have any benefits. That study can be found here. In the article’s conclusion, it mentions a study where a high intake of lycopene, a carotenoid found in tomatoes, led to a decrease in the formation of blood vessels in cancers. These cancers depend on the formation of blood vessels, so a decrease in them would be beneficial for the individual. These results of these studies are consistent with the null hypothesis. Most studies that investigate the effects of tomatoes are observational studies, because experimental studies would be very hard to perform, and would be largely inconclusive due to the chance factor. Many of these observational studies, that provide evidence that tomatoes are beneficial, can be found here. The studies and article are mostly in accordance with the null hypothesis. My findings are actually the contradictions of the alternative hypothesis, showing that tomatoes are actually beneficial. I was hoping that this would be the result before I began my research. Now I can peacefully enjoy my chicken cutlet sandwich with tomatoes, mozzarella, and balsamic dressing, all in between two pieces of a French baguette. This entry was posted in Uncategorized on December 2, 2016 by Maximilian Arthur Kesner. Many people may agree with me, but tomatoes just don’t sit in with me. For some reason, I cannot ever have any kind of tomatoes. I really wanted to read this so that I could be convinced to eat one, but it’s just impossible. I always have this weird feeling in my mouth that something just doesnt belong in there. Any other vegetables can sit with me, but its just tomatoes. I know that there are great information on the health benefits of tomatoes, but here is some information on the negative side of tomatoes! I absolutely hate tomatoes and always have but I enjoyed reading this article to see that they are actually beneficial. I have always wanted to like tomatoes but every time i try one i hate it even more. I hope to be able to overcome my dislike for them seeing they can be helpful towards my health. Really enjoyed this post.